If anyone would have asked me six years ago what role, if any, I would hold in the Junior League of Memphis (JLM), I never would have guessed I would be serving on the Board as Community Director, Internal. Yet, here I am today, title and all, and I love it! Once I transitioned from Rochester, Minnesota to Memphis, Tennessee, I joined the JLM with the gracious support and spirited encouragement of Sustainer and mentor, Judy Akins. She assured me I would meet new friends and would be provided volunteer shifts to serve in the community. How right she was! My first active year, I was assigned to G.R.O.W. (Giving Readiness Opportunity Wellness). This JLM initiative started in 2011 with three programs, all within the Binghampton community. In 2013, G.R.O.W. 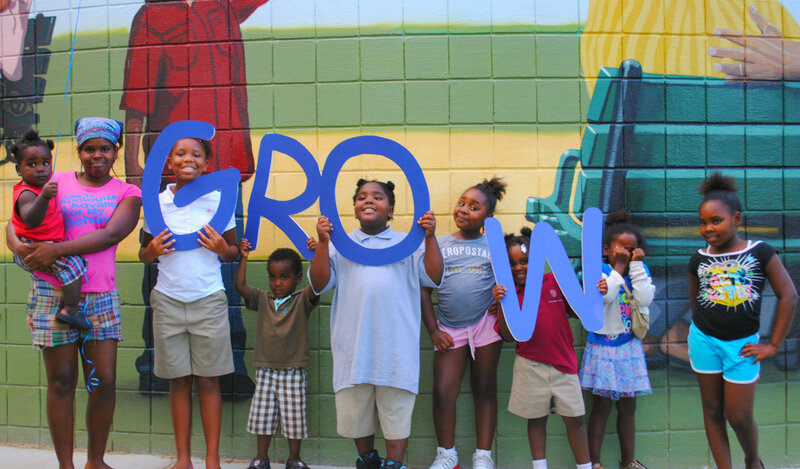 “grew” and we expanded the Pre-K reading program to Brewster Elementary in Binghampton as well. My JLM placement quickly became my passion. I had no idea how much I would personally grow (pun completely intended!) during these past years. From being a G.R.O.W. committee member, to chairing G.R.O.W.Saturday Special Events, to leading G.R.O.W. for two years, my involvement with this initiative has been the most fulfilling, enriching experience I could have ever asked to possess. Now as I serve as the Community Director, Internal, I am still involved in the G.R.O.W. program and have the distinct perspective of watching it expand and evolve. Thanks to the Give 365 Foundation, the G.R.O.W. Saturday and Special Events program has had a remarkable year. Give 365 is an innovative program that allows members to pool their money, for only a dollar a day, to make a positive impact on our community. Formed in 2010, GiVE 365 was created by a group of community leaders and the Community Foundation of Greater Memphis. The JLM submitted a proposal for GIVE 365’s “Home is Where the Heart is” Grant, for projects to make Memphis neighborhoods more vibrant, livable and secure. Our G.R.O.W. project was selected as a finalist. This gave us the opportunity to give a brief presentation on G.R.O.W. to all Give 365 members (see video link below). The Give 365 members vote on their favorite project presentations, which determines the winners of the grants. To be considered alongside other great projects in Memphis, was such an honor. Imagine our elation when we heard the JLM had won!!!! Each monthly G.R.O.W. Saturday event was held at Lester Community Center (LCC) – a partner in which the success of the G.R.O.W. program completely depends upon. The City of Memphis Parks and Neighborhood Division and the staff of the LCC willingly opened their doors and gave of themselves on the day of our events, joining with JLM G.R.O.W. volunteers to provide a festive atmosphere and safe-haven for families in the community. From making musical instruments to painting clay ornaments to devising Halloween masks, they were allowed to create unique works of art. The December Polar Express themed holiday party was one of the multiple highlights of the year. After constructing crafts and cookie decorating, the JLM provided each family with a basket of everyday necessities. 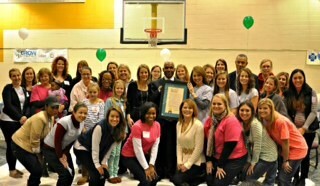 Mayor A.C. Wharton attended and made a special presentation, declaring December 14th Junior League of Memphis Day. Another highlight of the year was the April Spring Fling; consisting of a petting zoo, horse rides, Easter egg hunt and balloon animals. What a way to end another fantastic, unforgettable year! This year’s G.R.O.W. Special event was held in conjunction with the Junior League of Memphis 5K for Kids. We were able to offer free participation for the G.R.O.W. attendees to take part in the race. They were eager to sign up and we helped them prepare for the race with training events on Thursday nights and educational classes regarding the importance of health and nutrition. More than 65 children and adults from G.R.O.W. 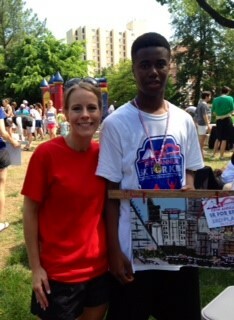 engaged in this event, with one of the young men placing third in his age division! Rebecca Fountain with a G.R.O.W. participant who won 3rd place in his division! Every child and every family was provided multiple occasions to grow, to create and to learn. Cherished memories were made and endless fun was had by all. Tapping into the childrens’ potential and inspiring them in unique ways, cultivated and molded this year’s G.R.O.W. program. During the committee-planned activities, many members witnessed the transformation of children and adults first hand. 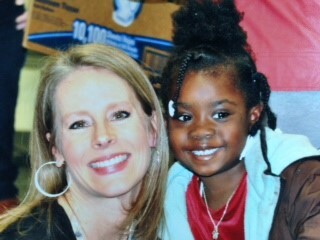 With the Give 365 grant and G.R.O.W., a difference is being made in lives of families in Binghampton. The G.R.O.W. 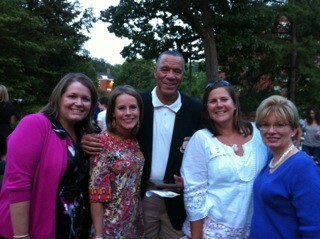 families I adore and the loving Junior League friendships I have made are unparalleled. For this, I will always be beyond grateful to the Junior League of Memphis and its community partners for transforming Memphis and transforming me.